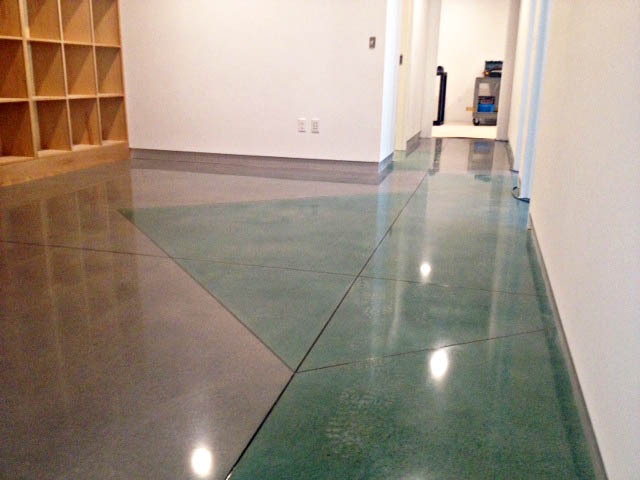 Bomanite Licensee, Premier Concrete Construction, LLC, based out of New Hampshire created a warm and inviting Patene Teres polished concrete floor for homeowners looking to add a distinctive look to their new 6,000 square foot home. 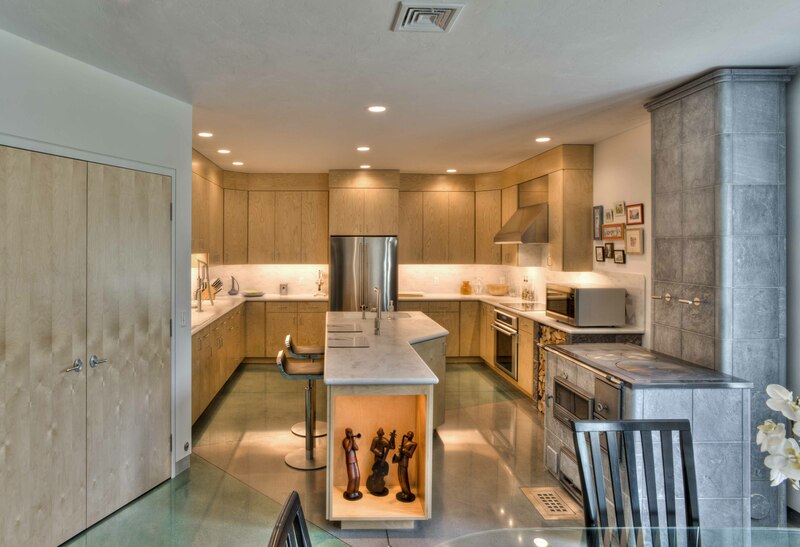 The concrete was poured over a Radiant Heating System, polished, stained and saw cut into desired shapes to provide an elegant, warm look and feel to the home. The homeowners commented that the floor was so smooth that it actually felt “soft” to them even in bare feet! The Patène Teres system utilizes Bomanite Chemical Stains and Bomanite Concrete Dyes to color fully cured concrete as part of the polishing process. The concrete slab typically starts out as uncolored gray or for some applications have Bomanite Integral Color in the concrete or had Bomanite Color Hardener applied to the surface during concrete placement and finishing. The floor is ground then stained or dyed. With the use of skilled saw cutting techniques, patterns or designs can be achieved in conjunction with the Patène Teres process. From simple monotone shades through bright and vibrant colors, the final appearance can be metropolitan chic or variegated and rustic. Patène Teres by Bomanite is intended primarily for new construction or major renovation projects, has the widest range of design variations and provides a highly architectural appearance.